We have a different kind of recipe today! 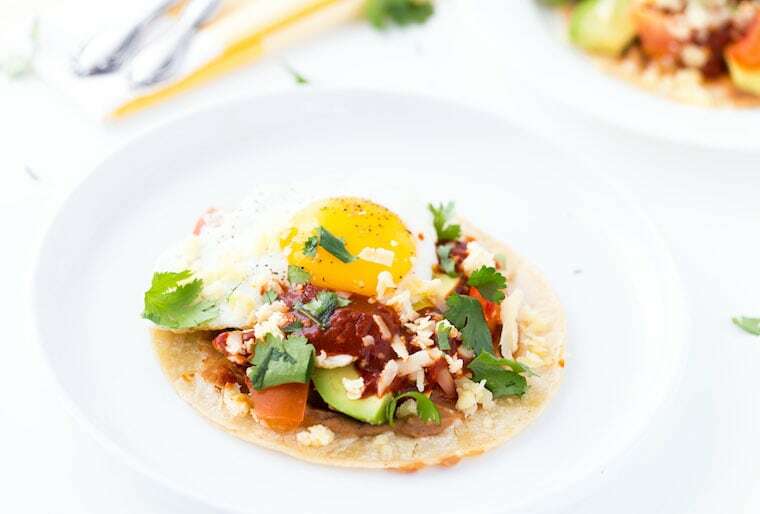 As we get closer to the weekend, brunch is on the mind and these huevos rancheros should happen. Why am I sharing savory food? Well, I’ve been doing a brunch series over on The Kitchenthusiast and if you’ve been following along, we are kicking up our brunch game this year with grapefruit mimosas and savory breakfast danishes. Adding this huevos rancheros to the line up was actually my lab mate’s idea. Being from New Mexico with a Guatamela heritage, she knows a thing or two about authentic recipes and I called upon her expertise to make these huevos rancheros. I only had to bride her with some baby time and mimosas. Have you ever had huevos rancheros? It’s is a popular Mexican breakfast dish made of eggs, corn tortilla and spicy chili paste. At least those are the key ingredients with room to get creative with add-ins. 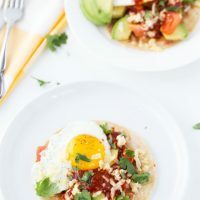 Starting with a homemade red chile paste, these huevos rancheros are filled with refried beans, tomatoes, avocado and topped with a fried egg. They are pretty hearty, filling and a great way to start a weekend. 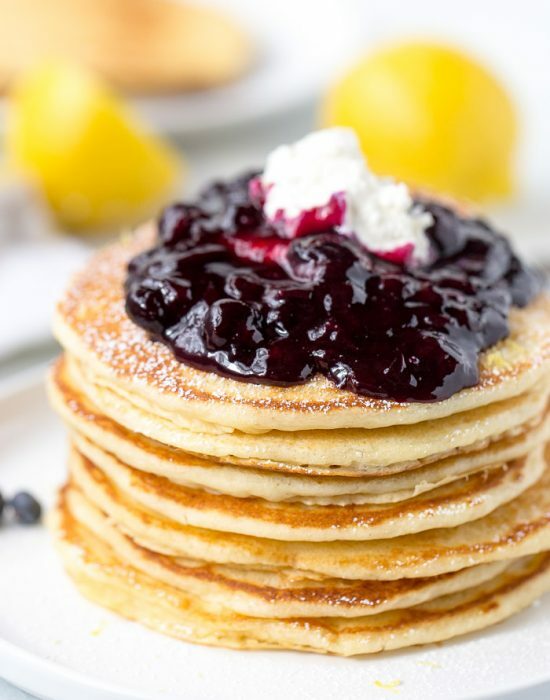 For the recipe, be sure to hop over to The Kitchenthusiast, the KitchenAid blog for the recipe. You will love it as much as I did. For the full directions, visit The Kitchenthusiast. Huevos Rancheros are the best brunch food! Your Kitchenthusiast posts are always my favorite, Zainab! The colorful ingredients and delicious flavors make me want to reach through the screen to grab my breakfast. Thanks Ashley! 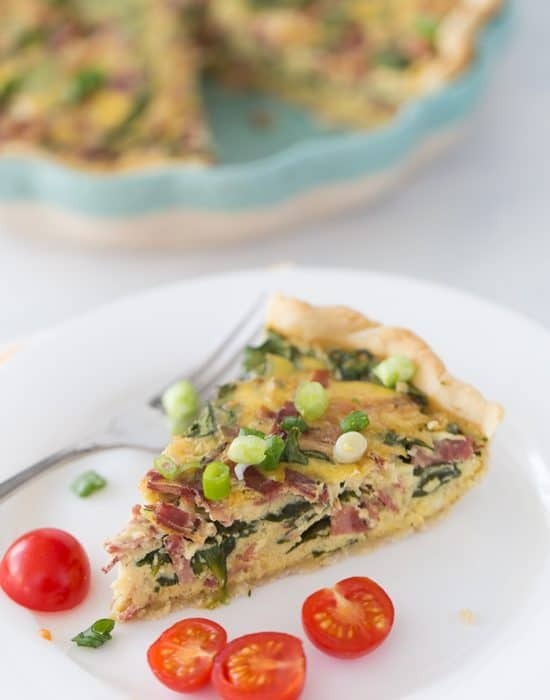 The brunch series has been fun and there are so many more recipes to come this year! An egg on everything is just the way of life lol! Hhaha thanks David!! The weekends are the best to relax and have a late breakfast. 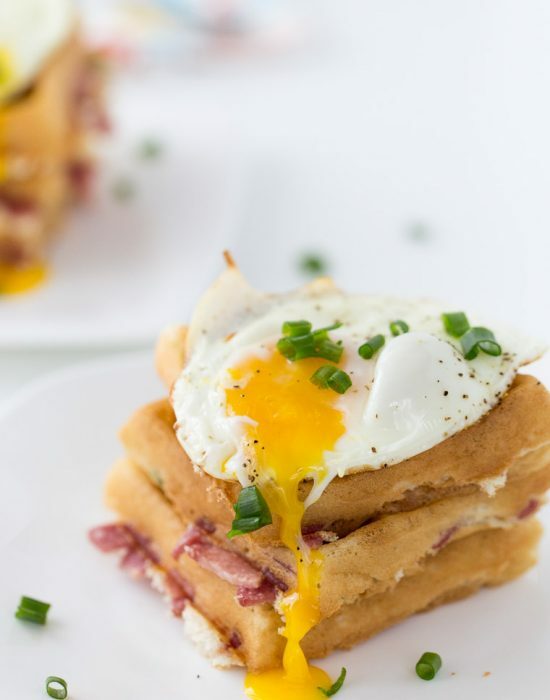 It’s my kind of breakfast and this one is a winning recipe! Hope things are getting better on your end with thesis and (hopefully) happy healthy baby and no more stomach flu. Thanks Linda. Everyone is finally recovered and we are back from the fog. Except I am still in the writing thesis fog lol! Oh I wish you made it! Oh how I missed seeing you around too! I love the new site and focus! I’ve never had Huevos Rancheros and I think that’s crazy because it looks so good! I’ve really got to change that, and these would be great with a grapefruit mimosa! Oh I think you will love it Marcie! And I am sure the mimosa will help. What a perfect brunch dish Zainab! Nice and zesty. My husband Tom would love it! 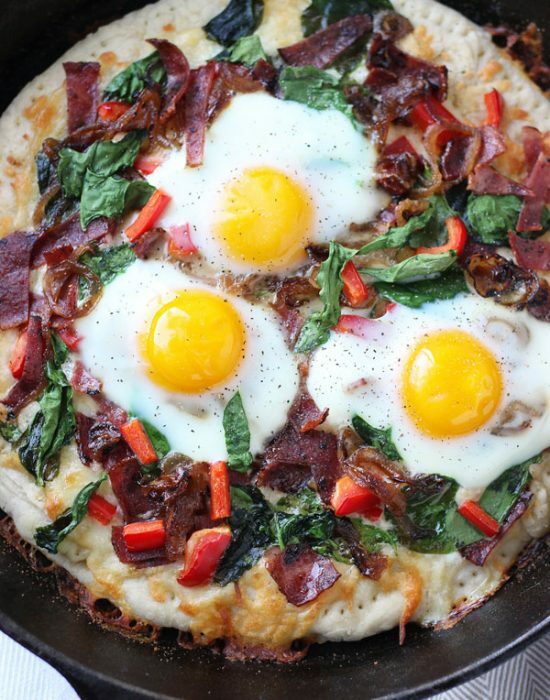 I love when you share savory and brunch recipes! 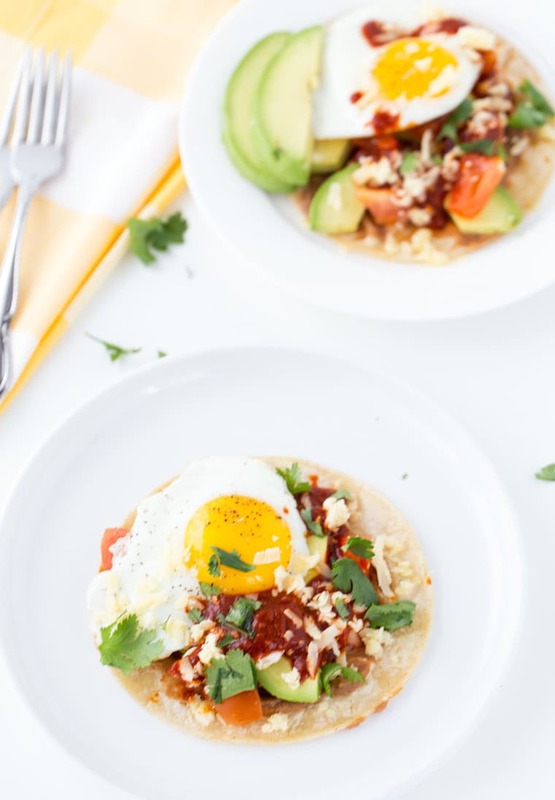 These Huevos Rancheros look perfect! They would be definitely be a hit at our house! Haha thanks Kelly! I really should do more savory recipes 🙂 Problem is I always cook at night and never home during the day to take pictures lol! Whoa! I haven’t had huevos rancheros in forever! 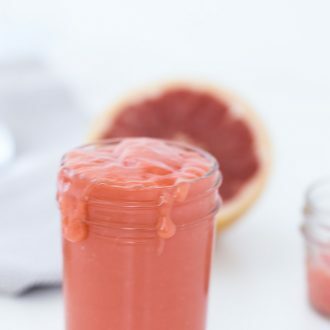 I’ll take some with one of your grapefruit mimosas! Huevos rancheros is the perfect brunch food! This would be a hit at our house! I hope you guys will try this version! Love Huevos Rancheros! 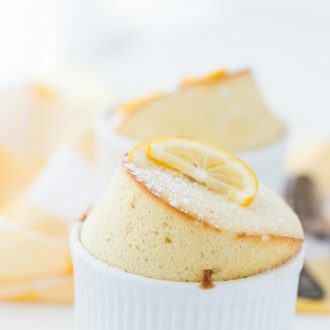 Gotta give this recipe a try!